This year marks the 80th anniversary of Batman! The DC Comics icon has been one of the most popular characters in the comic industry since his introduction in 1939. LEGO is celebrating the occasion with an umber of new products hitting this August! 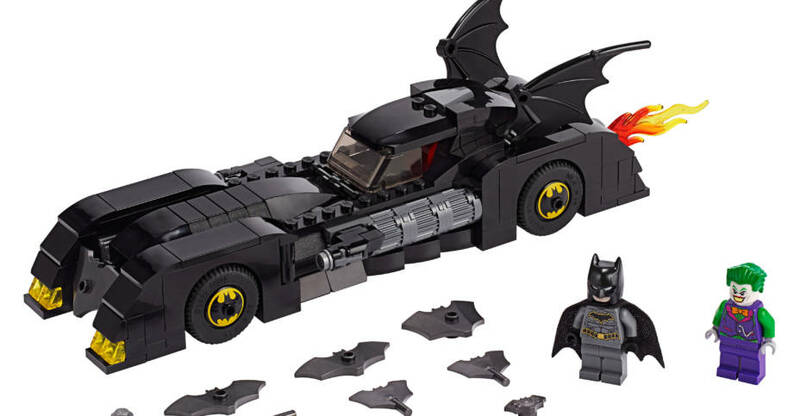 These sets include new vehicles, such as the the Batmoble and the Batwing, as well as a large Batcave set to look forward to. Each set will include special Batman 80th Anniversary packaging. as well as a great selection of LEGO Minifigures of Batman, Catwoman, The Joker and more. Our friends at LEGO have sent over a great assortment of official photos and details for the new sets. You can check out the main list below, and the full details after the jump. In this set, we have all of the DC Comics, Animated Series and Movie Series items by Diamond Select Toys at toy Fair 2019. They have a nice selection of busts, statues, and Vinimates. We’ll break down the items soon. for now, see all of the photos by clicking the headline of the story. Here are the newer Marvel Comics and DC Comics Statues on display by Kotobukiya at Toy Fair 2019. 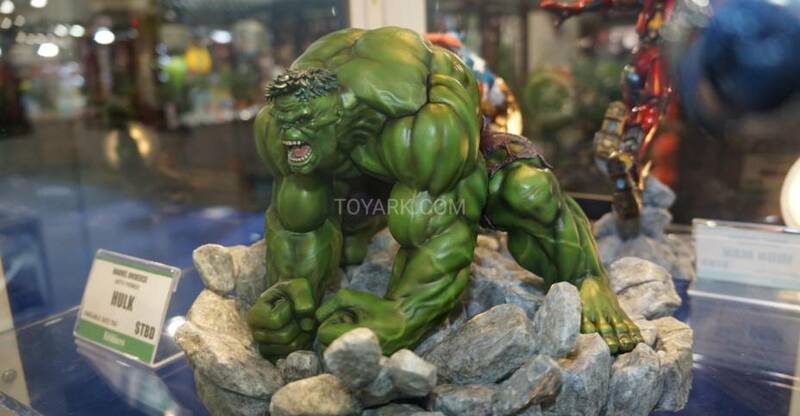 The new ARTFX Premier 1/10 Scale Statues made their debut here, featuring four of Marvel’s most iconic characters. We have 75 photos of the Mezco Toyz One:12 Collective display at Toy Fair 2019. 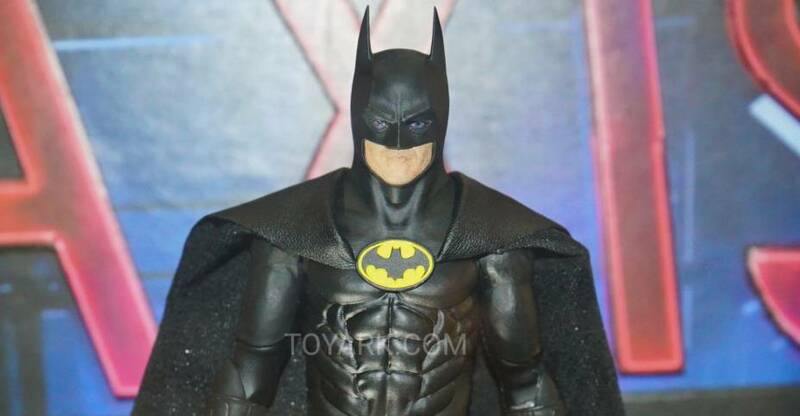 DC Movie fans will want to check out the Batman 1989 figure! Marvel fans can check out the new Captain Marvel movie figure. Other licenses include the new Hellboy, They Live, Halloween 2 and more. Kotobukiya has released photos and details for their new DC Comics Catwoman Returns Bishoujo Statue. 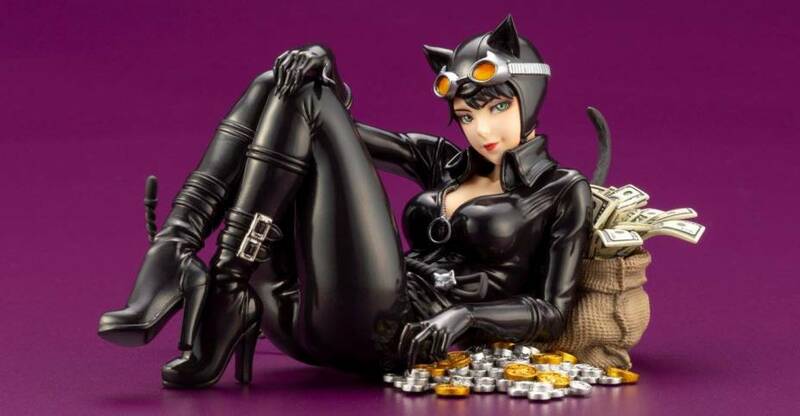 The 1/7 scale statue features Catwoman relaxing alongside her latest pile of loot. It has an MSRP of $104.99. The Catwoman Statue is set for release in August. Check out details & pre-order links below. See the photos by clicking the headline of the story. Catwoman rests against a burlap sack stuffed with cash, with a satisfied smile on her face that is sure to steal your heart! The statue is packed with exciting details that give the piece a unique sense of atmosphere, from Catwoman’s signature whip that playfully resembles a cat’s tail, to the actual kitten’s tail peeking out from Catwoman’s stash. The details in the statue’s sculpting as well as the variety of textures and painting give this BISHOUJO a unique appearance that is sure to win its way into your heart and your collection! If any additional Marvel or DC items are revealed by Kotobukiya, we will update this post. Check out the latest wave of solicitations from Diamond Select Toys. This months assortment includes new Marvel and DC Comics items, including their first Captain Marvel movie offerings. 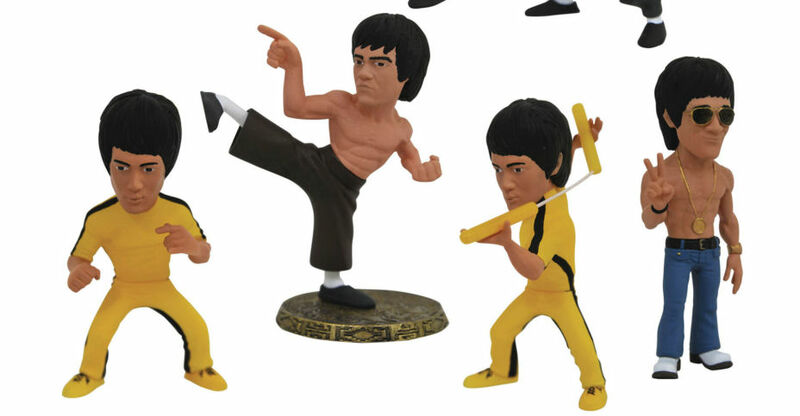 Also in this months list are a new 1/2 scale Bust, their first Castlevania Series statue, and new Bruce Lee items. Look for these collectibles to be released in May 2019. You can see the official list below. After the jump, you can find all of the photos and the details for each release. 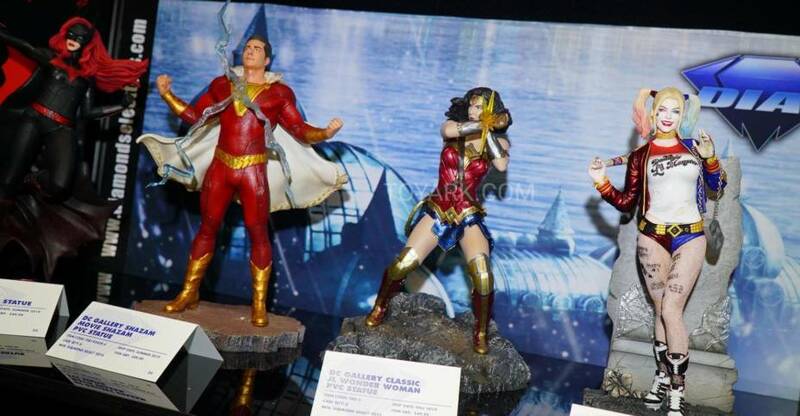 The statues are all 1/7 scale statues, with Batman standing roughly 9″ tall (as a gauge for how tall they will be). These are all just initial announcements and preview images. Further details and photos will be revealed at a later date. You can see the images after the jump. Check out the newest releases from Diamond Select Toys. These new DC Comics, Marvel, Ghostbusters and The Muppets collectibles are available in stores now. Check out the details below. After the jump, you can see all of the photos. 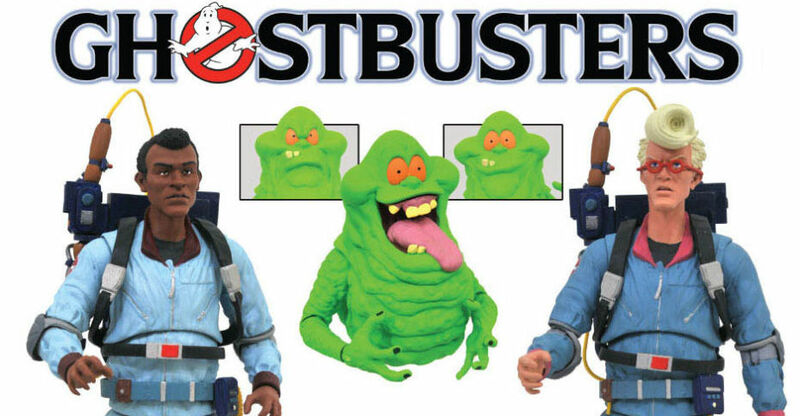 Ghostbusters Select Action Figures Series 9 Real Ghostbusters Asst. A Diamond Select Toys Release! These PVC Dioramas are not actual size! If anything, these 9-inch scale sculptures of Ant-Man and the Wasp are much bigger than the characters will appear in their highly anticipated 2018 superhero sequel. Featuring the heroes launching themselves into action on a penny and a pair of wings, respectively, each sculpture features detailed sculpting by Dave Cortes. Each comes packaged in a full-color window box. 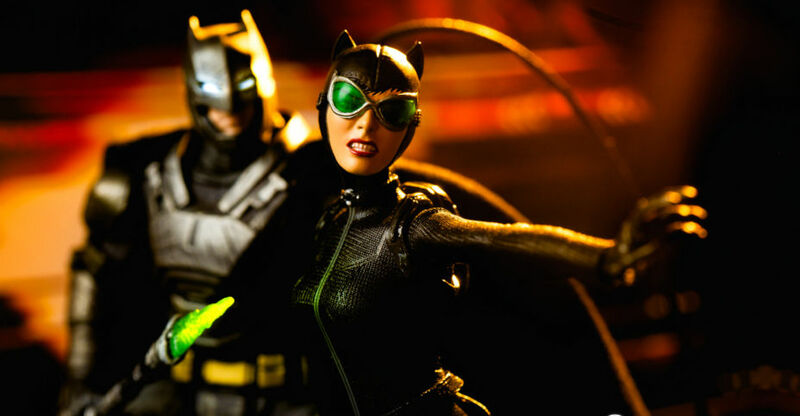 One:12 Collective drops another entry into their Batverse of original figures with Catwoman! This figure is a unique interpretation of Selina Kyle by the MezcoToyz team, meant to pair with their Batman Ascending Knight and related non-Movie, non-classic DC figures. She comes packed with 3 heads, 3 pairs of hands, removable packpack, removable goggles and whip. Her hip harness also has a lock pick set that opens up to reveal the tools. The body seems similar to the Wonder Woman One:12 figure from a while back, but it’s under fabric so hard to tell if it’s exact. No double knees or elbows, standard range otherwise. The head sculpts are great, specifically the unmasked head. All three give a different look to Catwoman. I had a lot of fun with her shooting and she is in the DC shelf rotation now. For those that may keep up with my posts – I’m picky with my One:12, but when they nail it, they nail it, and Catwoman nailed it. Read on to check out shots courtesy of Entertainment Earth, she’s in stock and shipping now! All times are GMT -4. The time now is 7:14 AM.